Why did you have children? Your answer would be very different from that of your great grandparents. 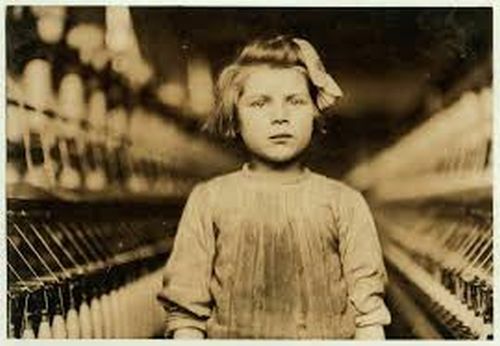 Even as recently as 75 years ago in America, children were valued as contributing laborers in the family. Today they are embellishments. They exist to give their parents joy and status. Think Little House on the Prairie and The Waltons vs. Parenthood and Modern Family. While parents have always loved their children, the function of children in the family has changed dramatically and not necessarily for the better. John Boy and Laura milked cows, hauled water from the creek, mended fences and scrubbed clothes on the washboard. Today parents debate whether 10-year-old should do laundry. Can he separate the cottons from the delicates? And, more importantly, should chores displace soccer and homework? The legacy of that modern view of children is twofold: when they leave home, they may not be prepared to function in a world that needs laborers, not embellishments; and you as the parent may struggle to let go of your source of daily joy and your status marker. Fact: It is not the job of your children to fill your needs – your need for grandchildren, your need to be proud of the child’s accomplishments, your need for a daily texting buddy, your need to impress your friends. “Not, me,” you protest. “I would never expect those things of my adult child.” Maybe not consciously, but upon closer examination you may see that you are indeed holding out the expectation that your child will continue to embellish your life. It is only natural in a culture that prizes children as an extension of their parents. For the first 18 years, your child defined your status. From the moment they were born, you were a nursing mom, or a soccer dad, or a working mom or a stay-at-home dad. Their dependence on you naturally prioritized your status in society. Think about your work environment; there are co-workers who go out for drinks after work and those who head home. It’s all about the kids. Laborer on the family farm or Dad’s dream quarterback – either way the parent may be exploiting the child. The difference is that the farm-hand child was contributing to the corporate well-being, not to a scrapbook. He had a sense of belonging and being needed. The quarterback has a sense of accomplishment and pride, but does the family really need a quarterback? Before you hit the delete button – I’m not dismissing the value of sports, academics, the arts or the multitude of talents we foster in our children. Nor am I advocating treatment of children as chattel. I’m saying we have traded one for the other and taken away our children’s sense of responsibility for life’s serious challenges and rewards. “Sweet,” was my first thought. I want to be that mom. “Yikes!” was my second thought. Did I raise that child, but on steroids? The one who thinks she doesn’t have to behave like an adult quite yet? The one who procrastinates her life-altering decisions? The one who sells himself short because his brain isn’t fully developed? The one who expects me to have his back until the cows come home (cows that he never milked)? Let’s admit that if your protected children are aimless adults, the “damage” has already been done. There are no do-overs, only what-to-do-nexts. There are ways to help yourself and your child going forward. More about that next week. That’s very thought provoking. Thanks for sharing.